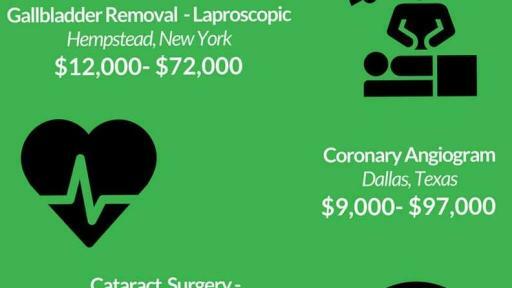 Do You Know the Real Cost of an Outpatient Surgery or Office Visit? Healthcare costs are out of control. The average American spends up to 25 percent of their income on healthcare expenses1, yet has no idea what a colonoscopy, knee arthroscopy or cataract surgery even costs until they get the bill. The worst part? Most Americans don’t even realize that the cost for the same medical procedure, performed by the same doctor can vary by as much as 400 percent depending on where the procedure is performed. *Pseudonym for the purposes of this example. Facts and figures are actual data. ** Reflects the charges submitted by the doctor and facility (excluding anesthesiologist charges). It’s the same physician, the same procedure … but the potential out of pocket cost triples! Which would you choose? Wouldn’t it be nice to know this information before you scheduled a procedure? HealthCost.com is giving you the freedom to search, compare and choose. HealthCost.com is the search tool that brings transparency to healthcare and gives patients the freedom to shop and compare prices on common elective medical procedures. While other search tools provide ‘average costs’ from your area, HealthCost provides the exact costs for a specific procedure by location, facility and doctor. Using a simple search, consumers can finally comparison shop for these common procedures, like X-rays, MRI, colonoscopies and more. This means real, actionable prices for patients to use while making healthcare decisions. Seeing how prices vary for the same procedure will empower patients to ask questions about costs and make their own decisions on where they’ll receive care. HealthCost empowers the patient to talk to their physicians about cost and agree to a price up front. For millions, it can mean relief from the burden of unexpected medical bills. Price transparency means accountability from medical providers and freedom for healthcare consumers. Using HealthCost, consumers can save thousands on out-of-pocket medical expenses for everyday procedures. Click here to begin a search today.